Your people are your future - invest in them! With over 20 years experience in senior HR roles in both the public sector and small business, I understand the importance of creating a workplace where people are engaged, focussed and motivated to perform. Imagine going to your favourite restaurant. Sure, the food has got to be good. But the real reason that you will keep going back is the atmosphere or vibe of the place. The decor, lighting and furnishings all help, but ultimately its the people who work there who make a difference. Do they smile and welcome you back like an old friend? Do they take an interest in what you are choosing to eat? Do they look out for each other and make sure customers aren’t waiting in another part of the restaurant? As customers we know what an engaged workforce looks like. My job is to see your organisation through a customer and employee’s eyes. And help you create a fantastic workplace. Whilst I always knew I wanted to work in the people business, my first career was on the front-line – in social housing. As a very green eighteen year old, my first jobs saw me interviewing homeless families, chasing tenants for their rent arrears, and trying to mediate neighbour disputes. It was certainly an eye opener. Whilst I wholeheartedly believed in making a difference in people’s lives, I soon realised that managing a team of people and getting them to perform was my real skill and vocation. I was very lucky to have an amazing mentor who believed in me and my leadership abilities. I had the nerve to ask for day release to study for a Human Resources degree, and he supported me to do that. I will be eternally grateful to him for letting me follow my dream and passion. And often that’s all it takes. One person to believe in you and give you the opportunity to succeed. I can help you be that mentor. To make a difference in your employee’s lives and enable them to reach their potential. Jayne is approachable and understanding, but not afraid to “tell it how it is”. Since coming to Australia in 2006 I have worked with some amazing organisations both large and small. I finished my Diploma in Coaching in 2009, and since then have coached executives in local government and the health department, as well as numerous business owners. I have worked with AIM WA delivering some of their programs, including Resilience in Time of Change, and have run many workshops with clients on DISC, Team Behaviours, Culture Change and many more. My clients include Aboriginal Alcohol and Drugs Service, The Adventurers, Wheatbelt NRM, Integrity Coach Lines and Turner Engineering. I also have a passion and a greater understanding of small business, having been on the Stirling Business Association Committee for the past 8 years, and President from 2014-16. Everyday it is a privilege to work with organisations that make a difference in people’s lives. Indigo Shift – what’s in a name? Apart from purple being my signature colour, indigo is also the colour of intuition and insight. The shift comes from what I see everyday when I work with great people – open to shifting their perspective, their thoughts, their behaviours. The world around us is changing and often our established way of viewing the world is no longer serving us. My job is to work with leaders throughout your organisation and help them make sense of the new normal, and develop their best strategies for thriving in a changing world. My mission is to help you create a fantastic workplace where your people will excel and make achieving your business objectives easy. 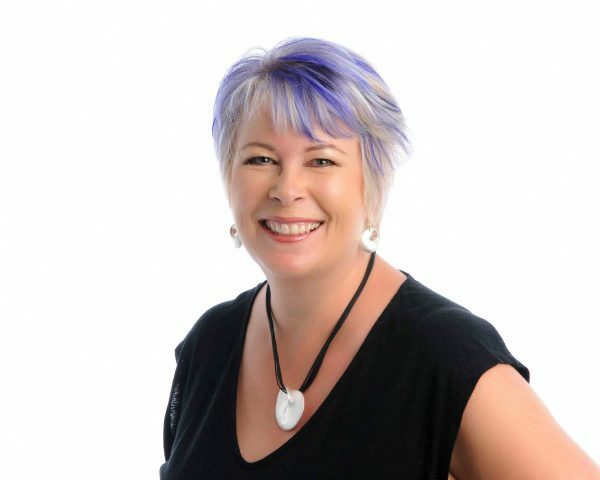 I am a founding member of the Perth HR Alliance – a group of experienced HR, People and Culture Consultants. We collaborate for business growth and to offer the full range of HR expertise. It really is true – the sum of the whole is bigger and better than the component parts! Left to Right: Clint Vawser, Oasis People and Culture (Learning and development); Shireen DuPreez, Elite Human Capital (Executive search, recruitment and career coaching); Cliff Carter, Cartec Consulting (WHS & HR); Julian Keys, SalaryOne (Remuneration & HR); Pauline Tarrant, Pauline Tarrant Consulting (People performance and future of work); Jayne Griffiths, Indigo Shift (Employee engagement and workplace development); Ron Jones, Atwick Ferres (Workplace negotiator and facilitator). Indigo Shift continues to grow thanks to referrals from many happy clients. We cover a range of industries such as aged care, community services, warehousing and logistics, manufacturing, and not-for-profits. Looking to create a fantastic workplace?